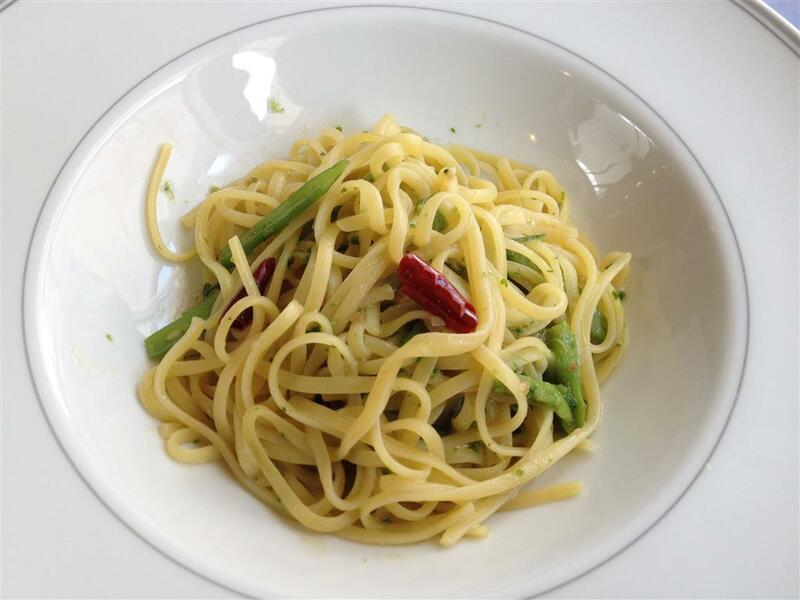 If you’re in the Saga area, the cafe Saganoyu is a pleasant spot for lunch or a cup of coffee. 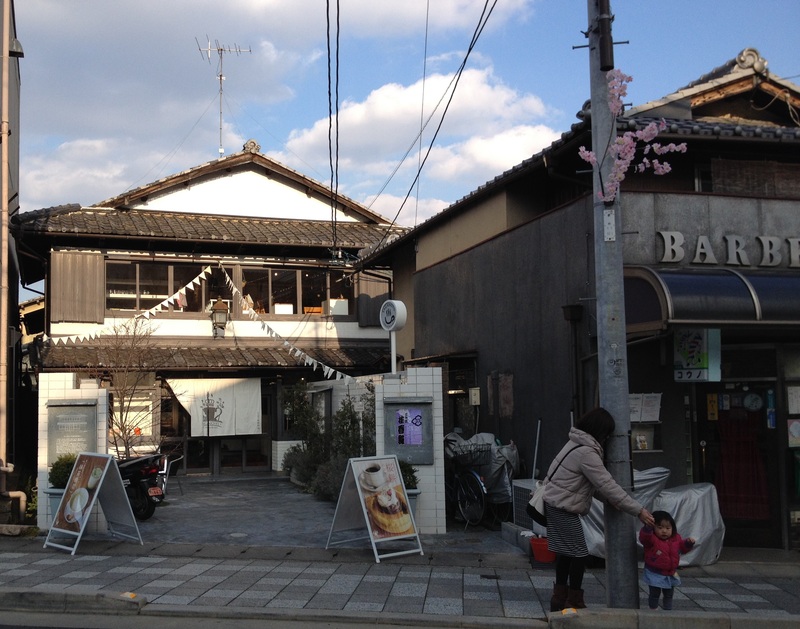 Originally built as a public bathhouse in 1923, the building has been thoroughly renovated and was reopened as a cafe in 2006. You can still see the original tiling on the floors and the faucets along the walls. Here’s what we had. 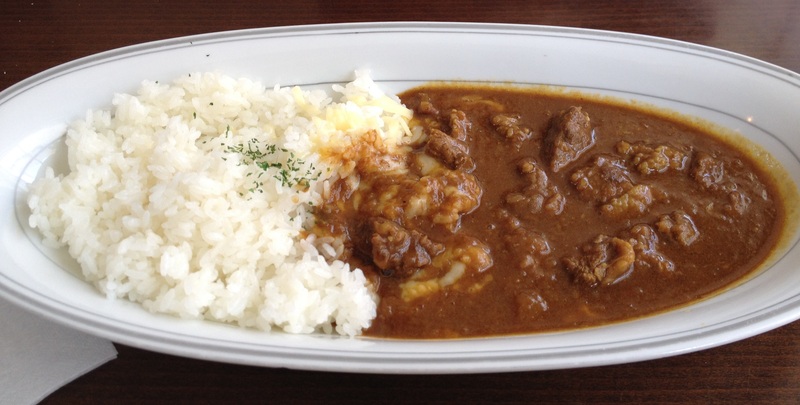 Miu chose a cheese curry (1,100 yen). 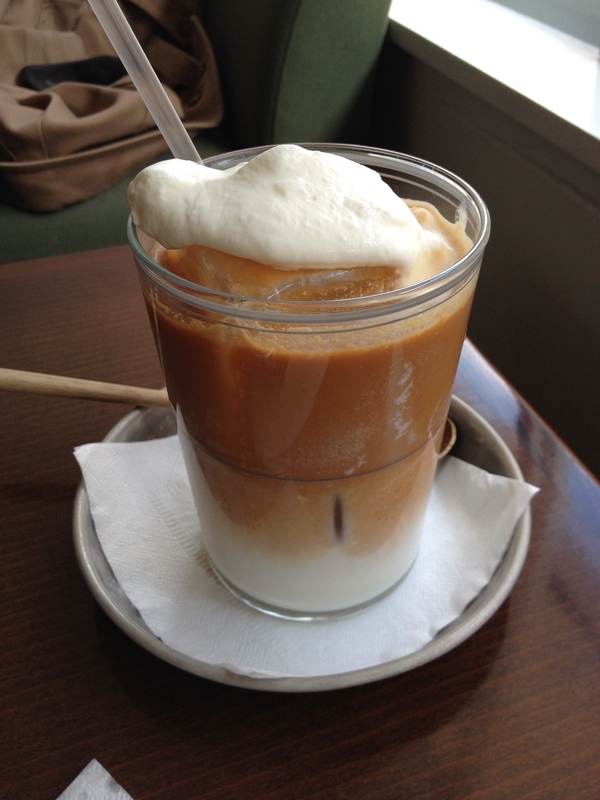 Which she washed down with an iced “Island milk tea” – so-named because it contains coconut milk (700 yen). 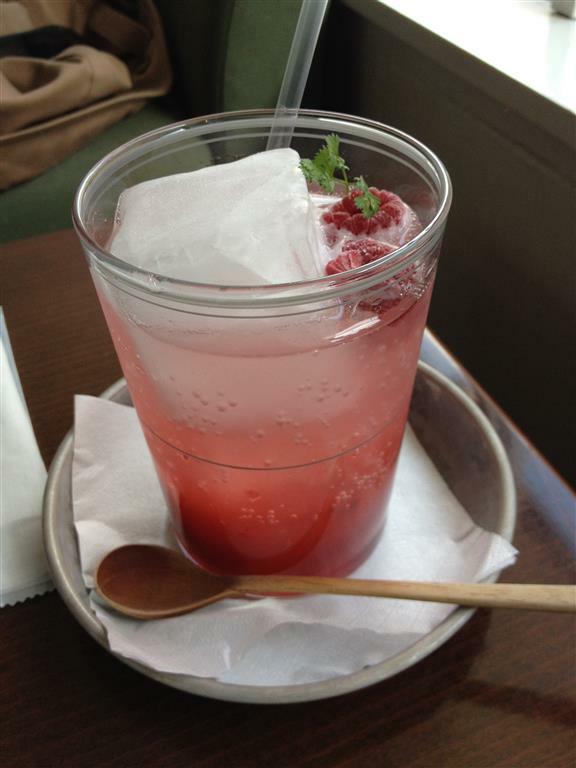 …with a refreshing framboise squash (680 yen). One of the things we found most surprising during our two visits to Japan was the relatively high cost of drinks compared to the low cost of food. If you go back, I’d love to see images of the interior, especially the faucets and such details that remain from its bathhouse days. Do you know I would, but right above those faucets are little signs asking people to refrain from taking photos – so as not to bother the other customers. Fortunately they were ok with pictures of the food.